Google ‘security’ and you will be inundated with information about IT and internet security. But what about good old fashioned physical security? You still need to protect your business against those who will come to your premises in person looking to steal cash, equipment, stock or other valuables – not all assets are virtual! A good security system needs to take a holistic approach; a number of measures working together rather than simply relying on a decent set of locks or an intruder alarm to protect the business. A good business security strategy creates a chain of events which all contribute to slow a would-be intruder down. Each separate measure will work to a degree in isolation but an integrated system will offer a much higher level of protection. Locks – your lock is your first line of defence. Having secure locks, ideally anti-snap cylinders, will make it harder for intruders to get in yet potentially without an alarm system or CCTV they could have a large window of opportunity to work on the locks without being interrupted eg if the premises are unoccupied overnight. Key holding – monitoring is good but if you’re not able to attend the scene, or don’t feel safe doing so, the whole thing could be over before anyone gets there. A key holding service makes sure that the scene is attended by qualified staff and/or the police (if appropriate), maximising the chance of perpetrators being caught or scared away. Of course it still comes back to your building’s security and how long the locks keep them out. If inadequate locks are easily breached then a response could be too late. 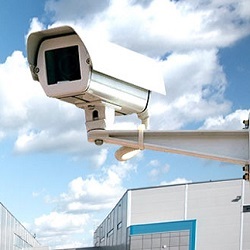 CCTV – CCTV without monitoring could potentially capture evidence that could help catch an intruder such as a visual identity or a vehicle registration. A monitored system, however, could actually prevent the break in by being able to determine the situation at the scene and issuing an appropriate response quickly. In short, the whole is more than the sum of the parts – the locks keep them out longer, the alarm is an early alert, monitoring provides a quick response, key holding provides a qualified response and CCTV gives you information. This multi-faceted approach covers all bases, thereby providing the best solution. Miss out key elements and you could potentially introduce weak links. Of course, the bigger the solution the greater the costs, however the economies of scale involved when using a single provider means that it often costs less than most businesses realise. An all-encompassing security system will also check more boxes with your business insurance, potentially reducing premiums. Where to start? A security audit will highlight the areas where your business could be vulnerable and advise you on how to plug the gaps. Our security audits are free of charge and available to businesses throughout Yorkshire. Get in touch for more information or call 01924 371941.